We were bottling a small run today. 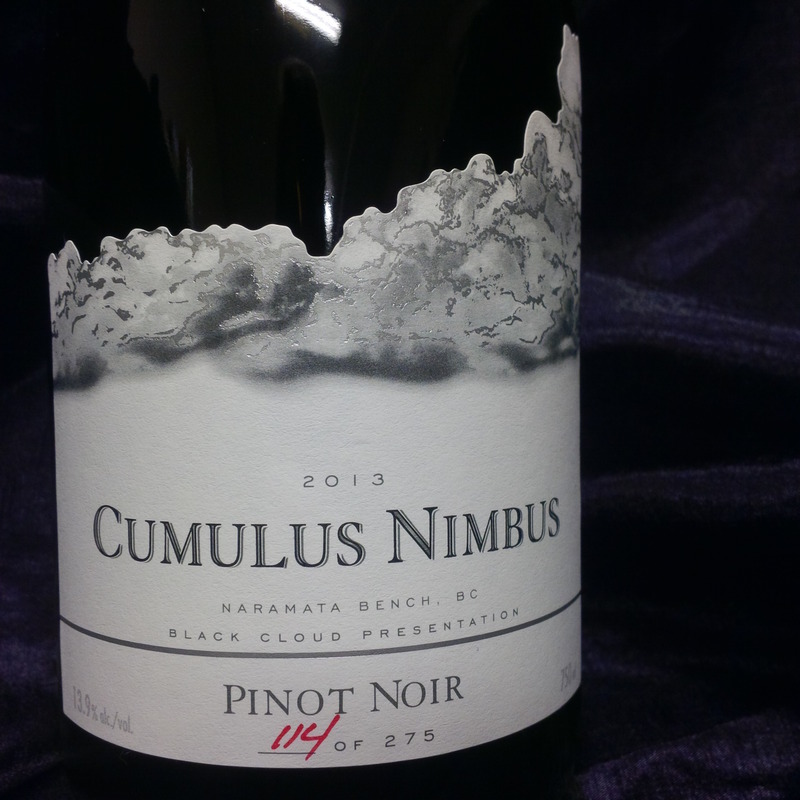 We had to do about 25 cases of our top of the line 2013 Cumulus Nimbus, the epitome of our Pinot Noir making skills. 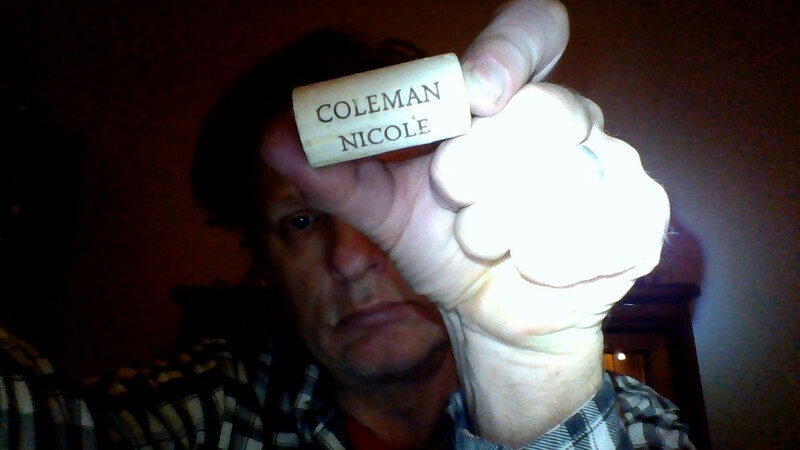 When we cracked open a fresh bag of corks, this is what was inside. Just one, mind you. The other 999 were all stamped Black Cloud. We’re going to contact them and see if they’d like it back. We’re not sure exactly how it happens but it does. Our website is back up! Just a quick note to let you know that our website at http://www.blackcloud.ca is back up and running. It’s now a property of our parent license holder so we feel are well within the strict rules and regulations of our local jurisdiction. Visit the site and subscribe to a package if you like the idea of getting our Pinot Noir shipped to your door three times a year. Or, for a one time purchase. chose the ‘store’ tab to see what the current vintages are available. Wines are available in Canada only, at this time. We’ve been forced to close our on-line store – for now. If you been over to www.blackcloud.ca you will have noticed that the site is down. 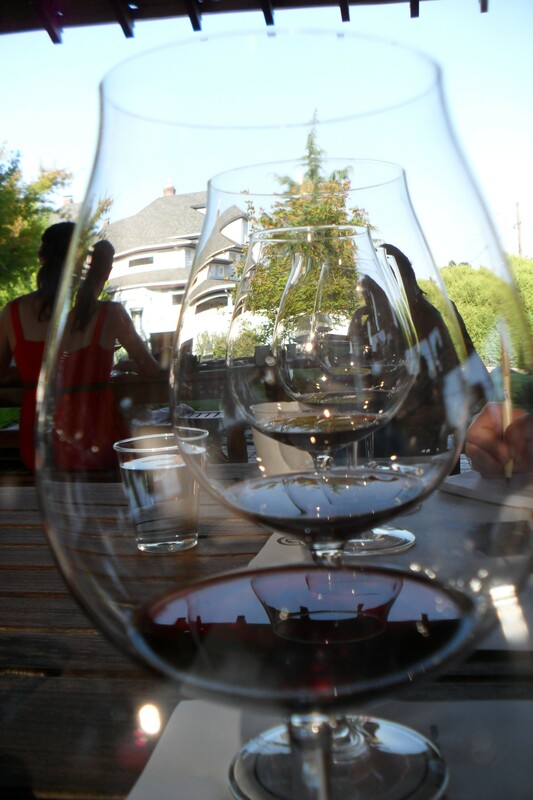 We shut it down voluntarily after a BC Control and Licensing inspector made it known in no uncertain terms that a crack-down on virtual wineries was happening and that Black Cloud, a brand of Serendipity Winery, was under scrutiny. 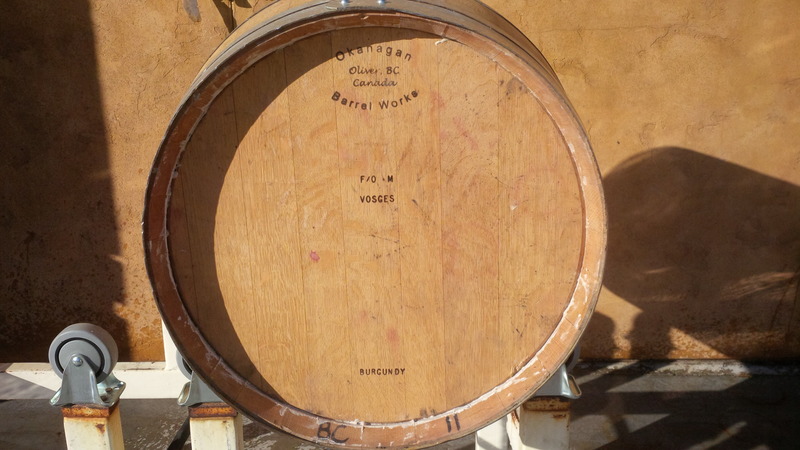 According to the powers that be, there is only one kind of winery in BC. That’s the kind that they license, and brands like Black Cloud, operating under the wing of another operation, are not going to be tolerated. They don’t like wine e-commerce to start, and operating a site without direct correalation to our parent license holder is making them, shall we say, concerned. In a business environment that favours the landed, the financed and the established, it’s getting harder and harder to be an innovator and to create a winemaking environment that is a level playing field for people of all means and stripes. We have always operated under license and have always paid our share of taxes et cetera due. Curious about the new changes this spring to BC liquor? There is a ton to talk about as the announcement involved Grocery Stores, Wholesale Pricing, Separation of LDB Retail from Wholesale, perhaps the item that will have the most short and long term impact is Wholesale Pricing. 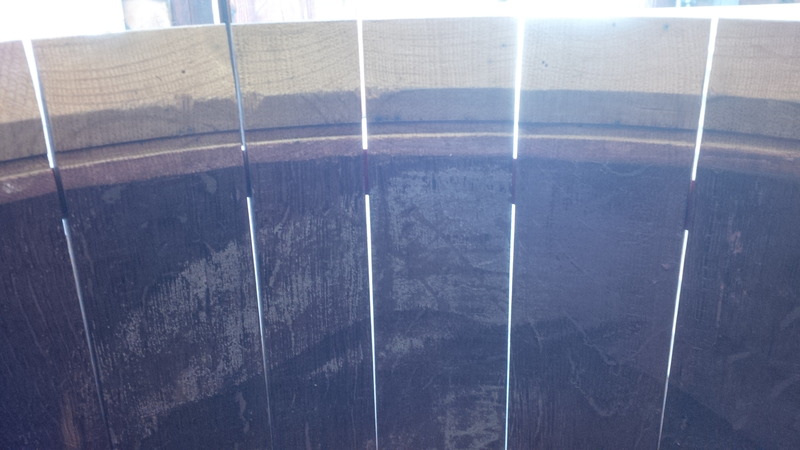 Barrel Head repair – well, my last name IS Cooper. 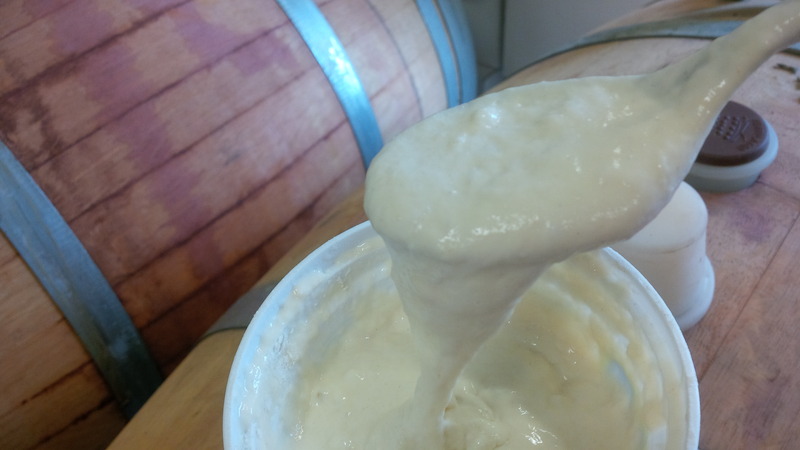 You may recall that I removed the head of a French oak barrel a few weeks ago to do an open top ferment of our 2014 Cumulus Nimbus Pinot Noir. 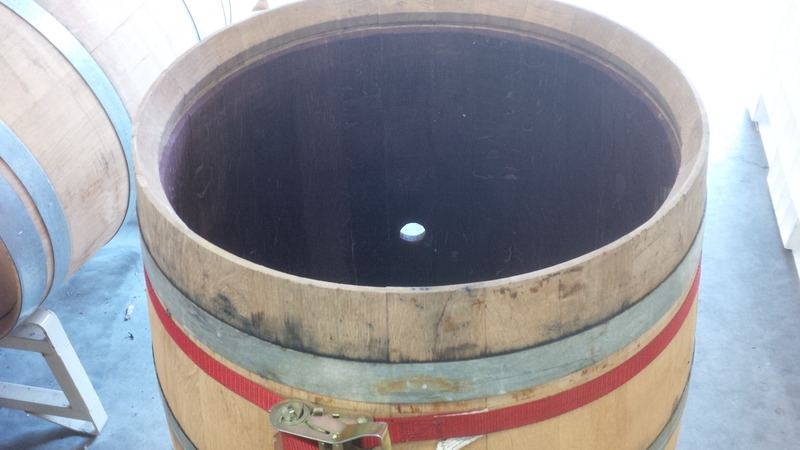 Now it was time to put the head back on so I could re-fill it with #Pinot. Taking the head off was easy. Getting it back on so it would seal would be a bit more of a challenge. I was careful to save the small custom nails that help keep the hoops in place. They don’t sell them yet at my local hardware store. I also prepared a thick, gooey flour paste that I used in the croze or groove the barrel head sits in to help seal the deal. I’d read somewhere that corn flour is used but I just used regular old Robin Hood. I removed the quarter hoop and the French hoop. That let the sun in but it was the only way the head could be manipulated back into place. Not such a neat job but I didn’t want to miss a spot. And here it is the next day – being tested with 225 liters of water over the next 48 hours. Not the slightest drip at this point. Success! It’s Time to NAME THAT TANK! So we got a new tank for Black Cloud and, like last time, we’re having a name that tank contest. Winner gets wine, so does the runner up! Honourable mention gets a coupon at our store. Previous tanks were named: Tin Lizzy and P. No. Diddy. It’s a flat bottom storage tank with a tripod pedestal. It has a clean out valve, a racking valve and a sampling valve. It’s variable capacity. The lid can be lowered to the surface of the wine and sealed in place with an inflatable gasket with a handpump. It’s made of stainless steel. It has a variable capacity lid. This is where Brad gets his refreshments. We don’t have a lot of “sales” in the traditional retail sense but we do like to reward our customers and attract new ones who really enjoy their Pinot Noir. Yup, that’s all we make. This year has been excellent and the new harvest is looking exceptional. We’ve moved our administration offices and our production scene and there’s plenty more change on the way. 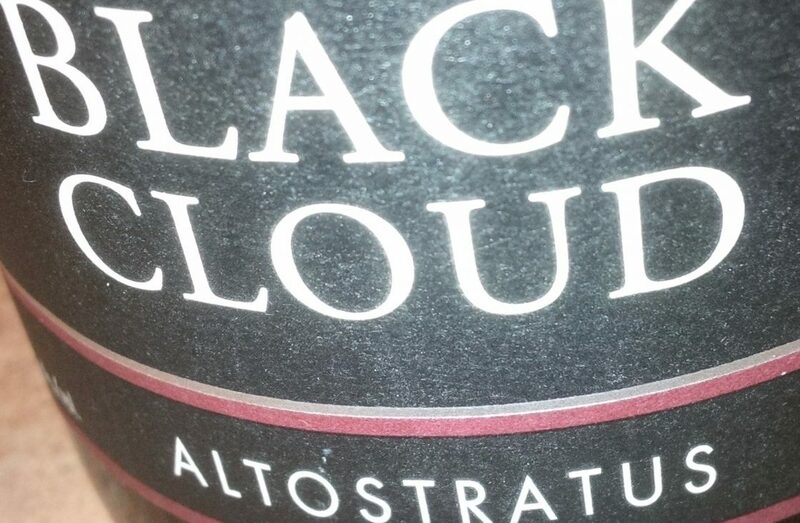 We’re celebrating and giving everybody a chance to stock up their cellars with Black Cloud by knocking 20% off their order. This is a good time to start thinking gift giving (how about a magnum of Altostratus?) and getting hold of some your favourite vintages before they run out. Remember, Cloudy Club members get additional savings with this offer. 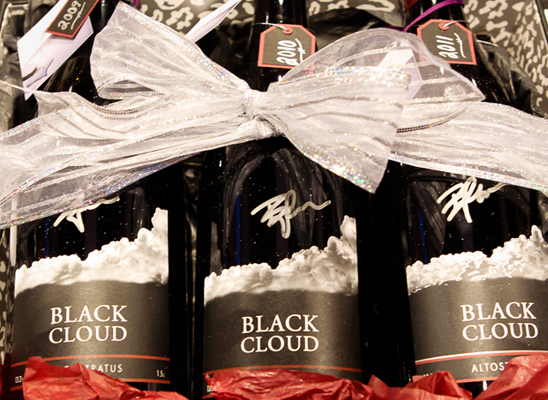 To become a member, just go to the www.blackcloud.ca site and subscribe to one of the 3, 6 or 12 bottle packages that we deliver three times a year.